It seems like this is the week of sharing recipes from friends. Cooking these recipes makes me feel like my friends are a little closer, and that is always wonderful. Liz gave me her granola recipe in a beautiful recipe book, and I can’t decide which was a better gift. This granola is the best I’ve ever had. I sprinkle it (more like shovel it) into my morning Greek yogurt, and it’s the best way to start the day. As soon as I open the jar I store it in, the warm smells waft out and make me smile. Sometimes I open the jar just to take a sniff. 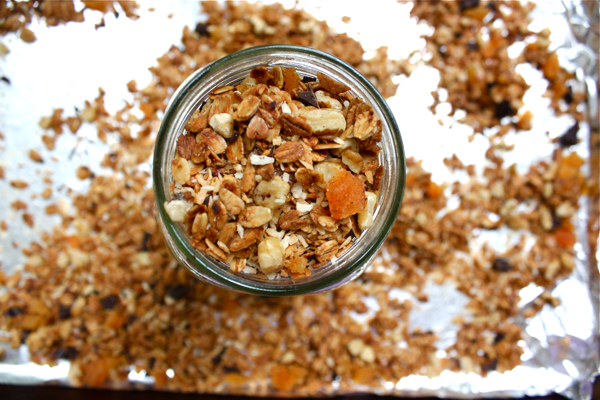 This recipe makes 4 cups of granola. I thought that was a lot, but it will disappear in no time. To start, preheat your oven to 350ºF. Then, to a small pot, add 2 tablespoons of coconut oil, just over 1 tablespoon of honey, and just over 1 tablespoon of maple syrup. 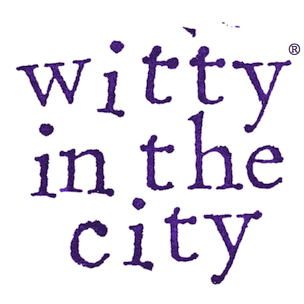 Whisk the mixture over medium heat until the ingredients are melted and blended together. 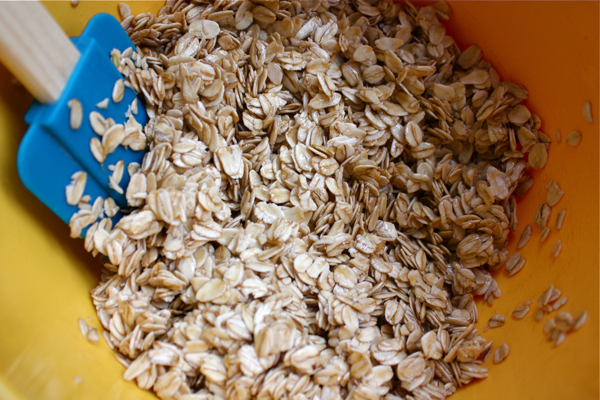 To a medium bowl, add 2 cups of rolled oats and 1/8 teaspoon of salt. 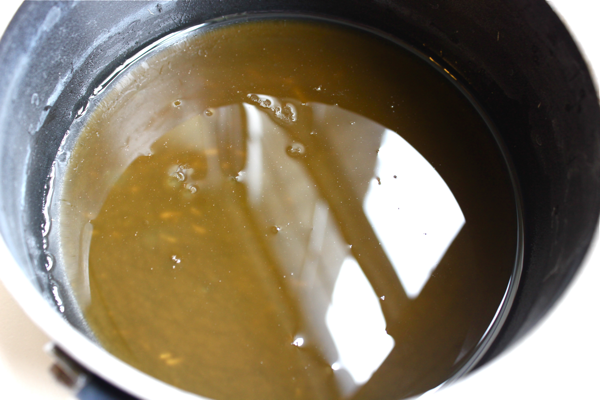 Pour the oil mixture over the oats and stir them well to coat. 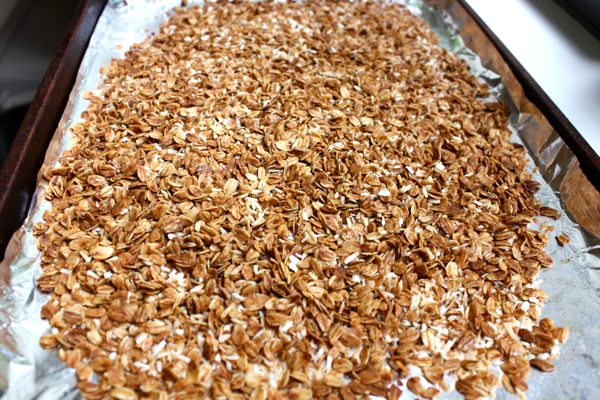 Spread the oats on a cookie sheet, and bake them for 10 minutes. After that time, remove them from the oven, and stir them well. Put the oats back into the oven for another 5 minutes, then stir them again. Repeat this process until the oats are golden brown (I needed two 5 minute additions). Then, stir 3/4 cups of dried coconut into the oats, and bake them for 5 more minutes so the coconut toasts. Remove the oats from the oven. 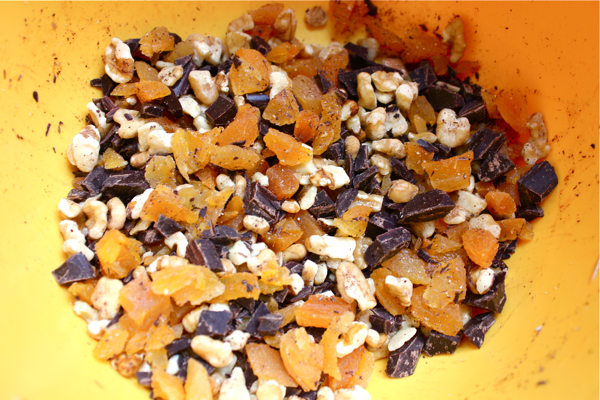 While the oats cool, prepare the other components of the granola: 1/2 cup of chopped walnuts, 1/2 cup of chopped dark chocolate, and 1/4 cup of chopped, dried apricots or any other dried fruit. Liz suggested using banana chips instead of the fruit, so try that if you love them. Once the oats are cool, mix them with the other ingredients. 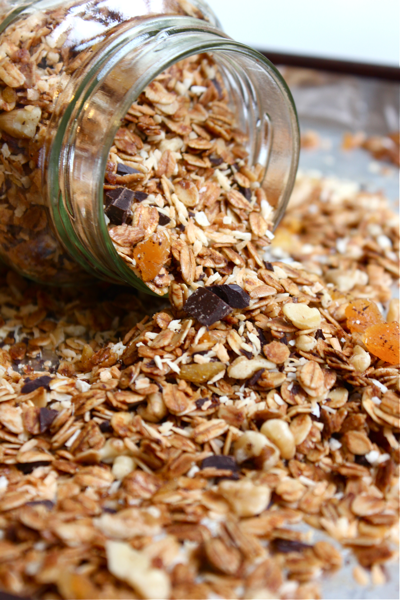 Store the granola in an air-tight container or plastic bag. This granola really helps me look forward to every morning, and trust me, I’m not a morning person. Thanks Liz! !